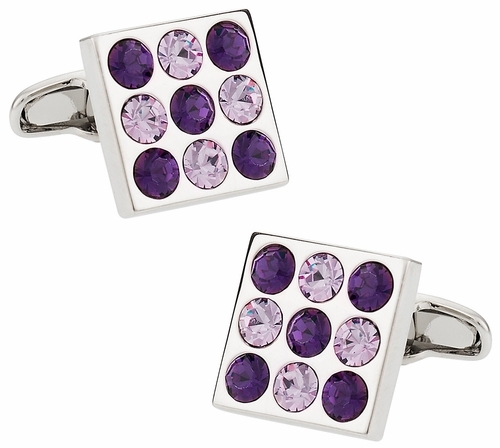 Give your look the change it needs with this dual amethyst cufflink set! This bingo board setup shows off two different colored amethyst stones arranged in a neat and attractive grid pattern. All together you get a unique piece of jewelry that you'll want to show off to everyone! 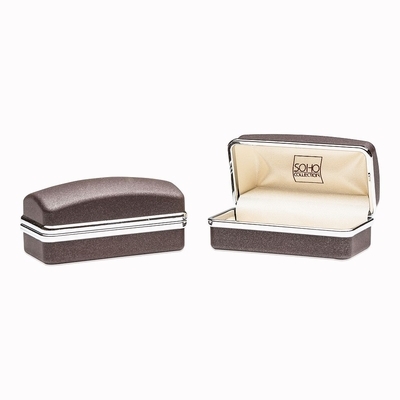 These cufflinks are held together by silver that's coated in rhodium to maintain its beauty over time. Each side of this amethyst piece has a whale back holding it in place and on that back SOHO is engraved, marking it part of the exclusive set. Keep this set for yourself and you'll have a very intricate piece to enhance your look with for the right occasion. These cufflinks are the best! The dull colors of purple and pinks compliment each other on a silver square link. Any guy would feel like a real winner in these cufflinks and you'll hit the jackpot by giving them to him!